The 3DX Film Festival is underway in Singapore. So far, the big announcement is that Beauty and the Beast is getting converted to stereoscopic 3D with an expected release in 2010. The 3DX Film Festival is featuring presentations from Jeffrey Katzenberg, James Cameron, Steve Schklair and more. 3D titles slated for release in 2010 include a Toy Story 2 rerelease, Tim Burton’s Alice in Wonderland, Toy Story 3, Rapunzel, and more. For MTBS, it begs the question. While Mr. Katzenberg expects all movies to be produced in 3D in five to seven years, is it clear that this is something customers want? Is the disproporitionate attendance of movie goers at 3D theaters over 2D theaters enough to justify this statement? As 3D theaters become more numerous, will the revenue benefits still be strong? Help us take away the guesswork! 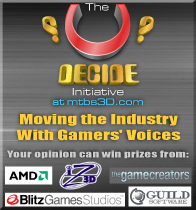 Participate with the U-DECIDE Initiative, and share your opinions about video games and movies in 3D. Preliminary results will be revealed at The 3D Entertainment Summit, and you can win one of 60 prizes in the process (e.g. 3D monitors, ATI GPUs, video games, etc.). Your opinion never mattered more! 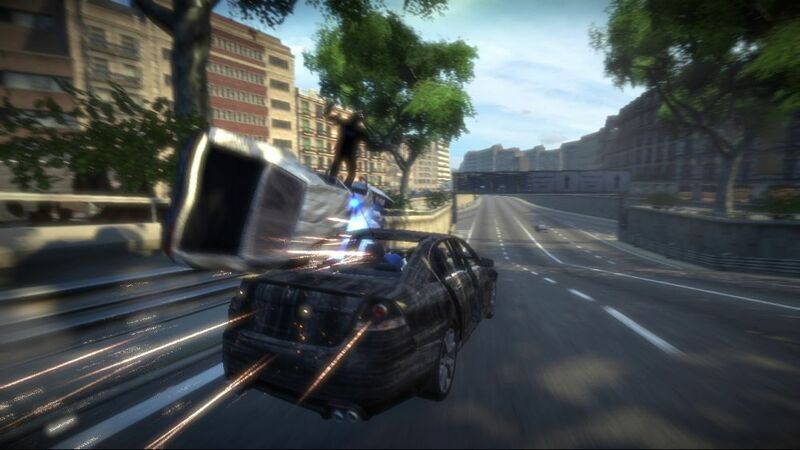 Midway has confirmed that Wheelman will be ready to ship on February 16th, 2009. This is the Vin Diesel title that takes place in picturesque Italy, where you play a get-away wheelman who helps goons escape dangerous situations. Midway promises it to be an andrenaline rush, and we are hoping it performs well in stereoscopic 3D. Autodesk Inc. has completed it’s acquisition of the majority of Sofimage’s assets from Avid Technology Inc. for approximately $35 million. It should be noted that when they are talking about 3D it is not necessarily stereoscopic 3D. In traditional graphics circles, it is volumetric 3D that is displayed on a 2D screen. However, Autodesk has recently implement S-3D support in some of their software packages.